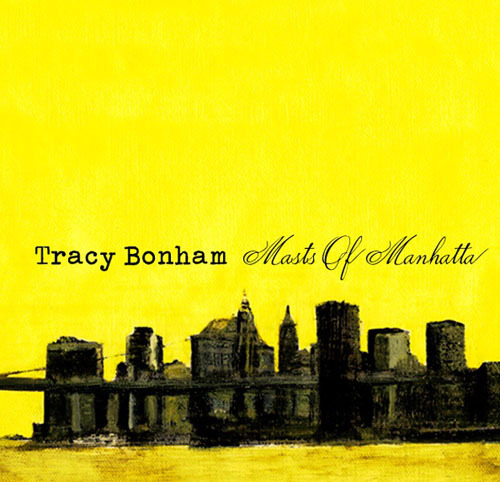 Over the summer we held a contest where the first 50 people to buy Masts of Manhatta on presale had their names entered into a drawing to have Tracy write a song about them. 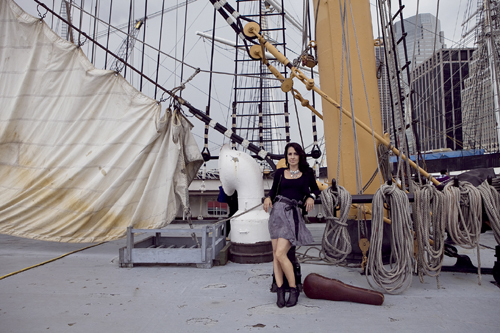 Congratulations to winner Monica Gonzalez! And listen to the winning song below. 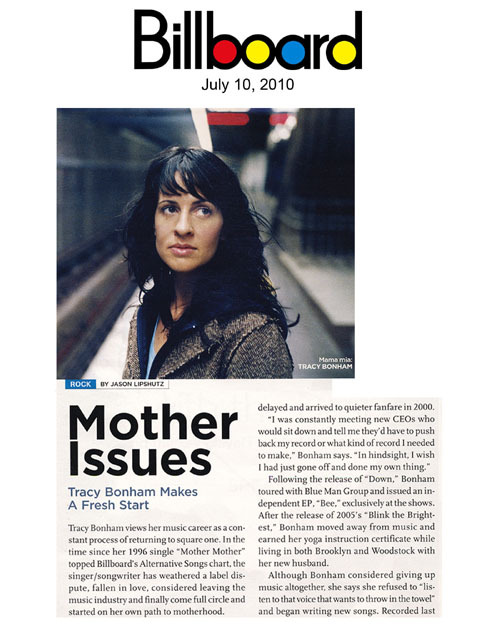 Also if you missed Tracy’s appearance on Leno last month it will be airing again tonight on NBC! 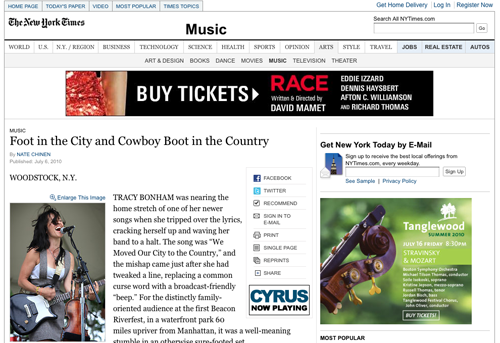 News :: Press for Tracy Bonham’s new album just keeps rolling in…. 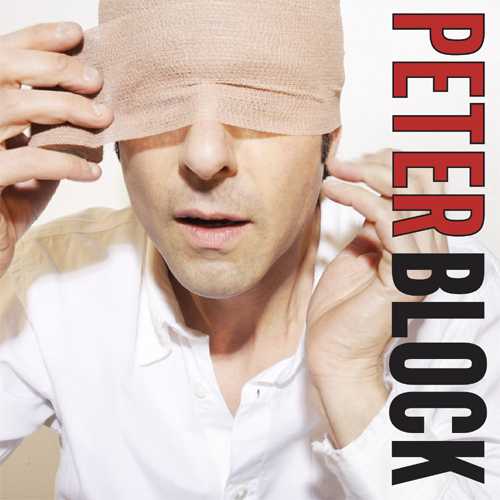 News :: New Release: Peter Block’s Self Titled Album Out Now! For Peter Block’s fifth studio album Peter teamed up with producer Mike Viola, who is known for studio work with Mandy Moore, Fountains of Wayne, Mono Puff, and on the soundtracks “That Thing You Do”, “Walk Hard: The Dewey Cox Story” and the new Russell Brand and Jonah Hill movie “Get Him To The Greek”. During the making of the album Peter went through a series of personal tragedies that shaped what the album was to become. The result is a chilling, concise cycle of ten tracks that trace the ups and downs of an emotional rollercoaster that eventually finds its way to some level of acceptance. Despite the difficult emotional terrain, Block and his co-writers — Viola, Slow Runner frontman Michael Flynn, They Might Be Giants guitarist Dan Miller, Madison Square Gardeners leader Aaron Lee Tasjan, and Tracy Bonham – never let the circumstances bring them down. There is still plenty of pop music magic and honest, unfettered joy shaking loose from these tracks of intense introspection. Listen to and purchase the album here. The physical release date is August 17th where both CD and vinyl versions of the album will be made available. 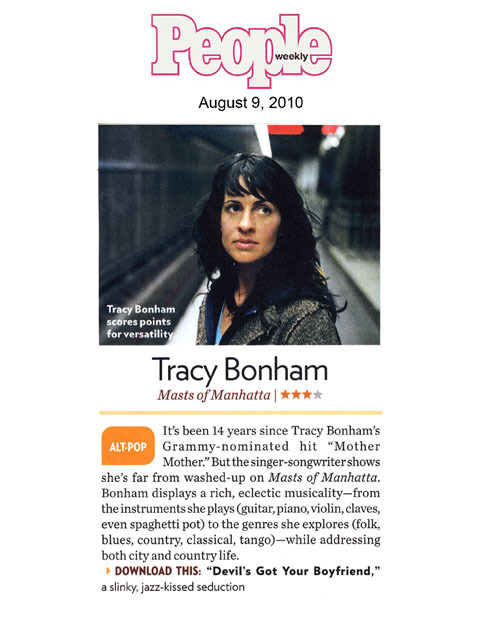 News :: Tracy Bonham’s CD Release Party at Joe’s Pub! 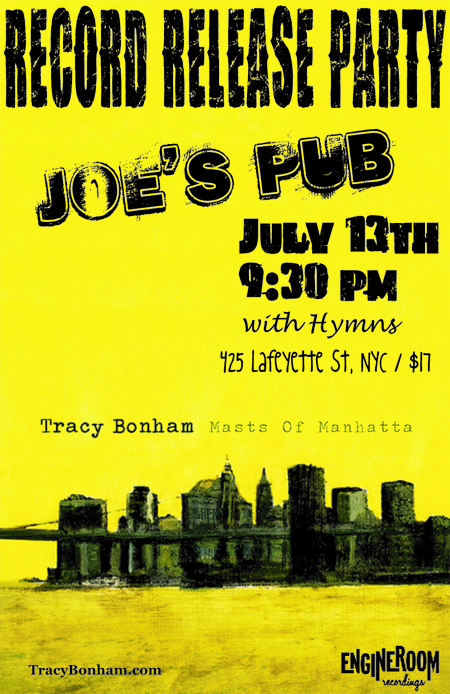 Please join us on July 13th as we celebrate the release of Tracy’s new album “Masts of Manhatta” at Joe’s Pub in NYC. And for those of you not familiar with Joe’s don’t let the name fool you, it’s a beautiful room and the acoustics are amazing. Tickets are $17 and can be purchased in advance here — get them now before the show sells out!